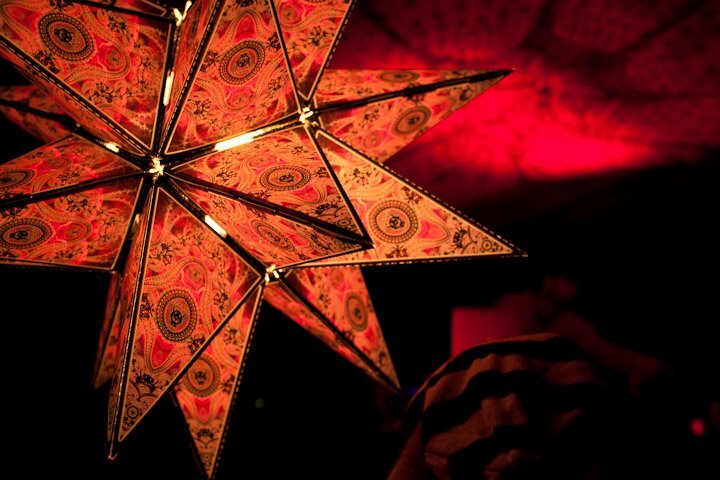 Solstice is a members-only gathering. You are required to purchase a membership in advance for admittance, or purchase an increased-price membership at the Gate. Upon arrival at the gathering, all members (including children and crew) will be required to provide valid photo ID matching their Proof of Membership. Multiple membership purchases are permitted; however they are non-refundable. It is your responsibility to protect your proof of membership. Each attendee is required to fulfil a membershift, make a food contribution to the Kitchen, and follow our Gathering Guidelines and Policies. Thank YOU! Have fun and play safe! Enjoy a week without money or commerce! Solstice is a vending-free gathering. We encourage you to bring homemade gifts to share with old and new friends alike, and gifting is encouraged, however Solstice Gathering reserves the right to ask any members found vending to leave. Our drummers keep the dancers around the fires, playing the rhythm of their bodies. We ask all of our drummers to be respectful of our neighbours and campmates, and keep sounds to a minimum during the week. This means no drumming past 11pm - “WHEN THE BIG BALL DROPS, THE DRUMMING STOPS”. Once the sound systems start on Friday, drummers are welcome to play late into the night around the community fire. something to sit on i.e. camping chair, meditation pillow etc. rainy-day clothing and stuff: umbrella, tarp for campsite, rain jacket and pants, rubber boots etc. any and all toiletries you may need i.e. wash cloth, tooth brush, tooth paste, deodorant etc. We all love our own style of music, but does everyone else? While the stages are going there will be music throughout the whole forest, so during the off-hours, let's reflect in the noises of the forest and the laughter of our friends. Bringing a small solar or crank-powered radio for Om Radio is acceptable, provided the volume is moderate in the campground. They are fun, but for safety and neighbour consideration, we must enforce a no fireworks policy! Also, no personal campfires. There are several designated community fire areas to enjoy. Please always be aware of fire safety when using fire-toys. If you see members with a renegade fire, feel empowered to remind them that personal fires are not permitted. Please reach out to Security or Vibe for support. At our community fire-pits, firewood will be supplied. Please do not use wood from the camping areas. The forest needs this to remain healthy. Please use firewood sparingly. Firewood will be replenished once a day, and when it runs out, the fire will be allowed to die down until the following day. Please leave all your glass at home. Pour liquid into portable containers, and ensure you have a travel mug and water vessel that are unbreakable - this means no ceramic either! Many members enjoy the earth beneath their feet - and knowing the gathering is glass free clears us of the worry over shatters and breaks. If you are found with glass it will be confiscated. We truly understand our pets are part of our family, and we apologize for any inconvenience, however, we regret that Solstice does allow any pets. Members with pets will be asked to leave, so please find a sitter.